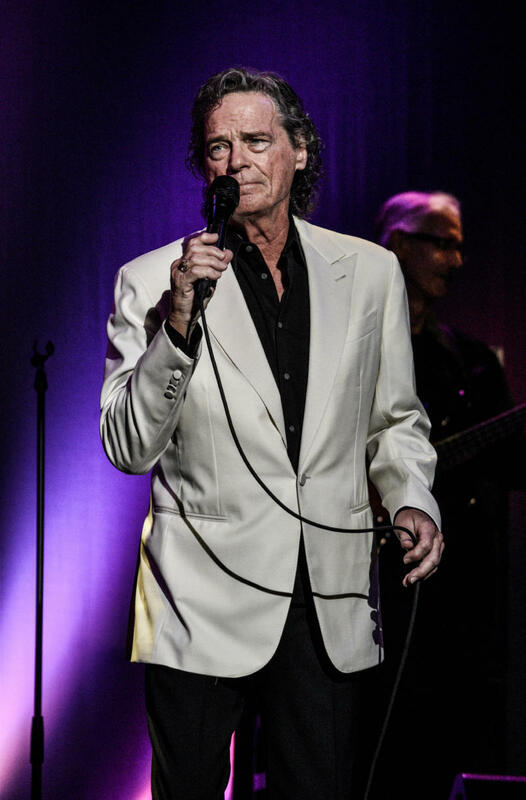 BJ Thomas made a much awaited stateside return to the area after some seven years Saturday evening. While he did play the Fallsview Casino in 2016, it had been some seven years that he played a nearby show on this side of the border. He played to a near full house inside the cozy Riviera Theatre. The laid back atmosphere played a big part in the evening’s festivities. The first half of the set featured many of the hits one would expect to hear at one of Thomas’ shows. It was the second half of the show where Thomas started to really open up and tell some stories about the songs and some of many great people he worked with over his fabulous career. Early on such gems as “Most of All”, “Rock and Roll Lullaby” and “Hooked on a Feeling” dominated the set. All played to perfection by his band which included bandleader Tom Wild on guitar, Mel Watts on drums, Tony Crow on keyboards and John Francis on bass. Francis has played with Thomas for 42 years. During “(Hey Won’t You Play) Another Somebody Done Somebody Wrong Song” Thomas made use of the small extended stage for the first time bringing him closer to the crowd who helped sing the chorus. The song not only topped the Billboard 100 chart, it also was #1 on the Billboard AC and Country charts as well. The song is also noted for being the longest title of any song to top the Hot 100 chart including the parenthetical part. The gold kept coming with songs such as “Whatever Happened to Old Fashioned Love”, “I’m So Lonesome I Could Cry” and “Mighty Clouds of Joy”. It was around this time Thomas started to tell about some of the people he had worked with over the years. Reggie Young who has played on many many hits from many artists over the years was cited as the greatest guitar player he had ever known. Thomas asked the crowd “What do you want to hear?”. He took the time to play “Billie & Sue” and “Little Green Apples” both which he heard through out the many songs shouted out by the knowledgeable crowd. Although there were quite a number of requests for “Two Car Garage” Thomas jokingly (hopefully) said he’s all done singing about garages. This all set the stage for the big song of the night “Raindrops Keep Fallin’ On My Head” which probably went over the best with the crowd on this chilly fall evening in North Tonawanda. BJ Thomas doesn’t get to play the area too often these days. So when he does it would be considered a crime to not go and see Thomas, who even at 76, still sounds in great singing voice. He plays roughly 20-30 dates a year which made the show seem even more special to those who came to watch the legend perform some of the greatest songs ever recorded.